It's finally Nov. 8, and you are ready to make your voice heard. Maybe you've knocked on doors, phone-banked, or had tense conversations with relatives who were voting for a candidate you consider dangerous. You've done your homework, found your polling place, and are ready to cast your vote. But aside from that cute "I Voted" sticker, how can you let your social media circles know you've done your civic duty? A "ballot selfie" taken while voting might seem like the perfect Election Day Instagram post, but there are a few things you need to know first. Most election officials, regardless of the law in their state, discourage voters from publicly sharing photos of their completed ballots. And in all 50 states, it's unlawful to share a photo of someone else's ballot. But as state and federal courts have taken up the legality of ballot selfies in recent years, we've ended up with a patchwork of policies regarding voting booth snapshots. If you live in one of the following states (or the District of Columbia), then you have a legally protected right to take (and share) a photo inside your polling place showing your completed ballot. But remember, people have different feelings about how public they want their vote to be — so make sure you're not catching anyone else (or their ballot) in the background of your photo. Several states have laws on the books prohibiting voters from bringing electronic devices (including phones, laptops, or tablets) into the voting booth — or sometimes even within 100 feet of a polling station. But in each of the following states, absentee or mail-in voters are allowed to take photos of their completed ballots, according to the AP. 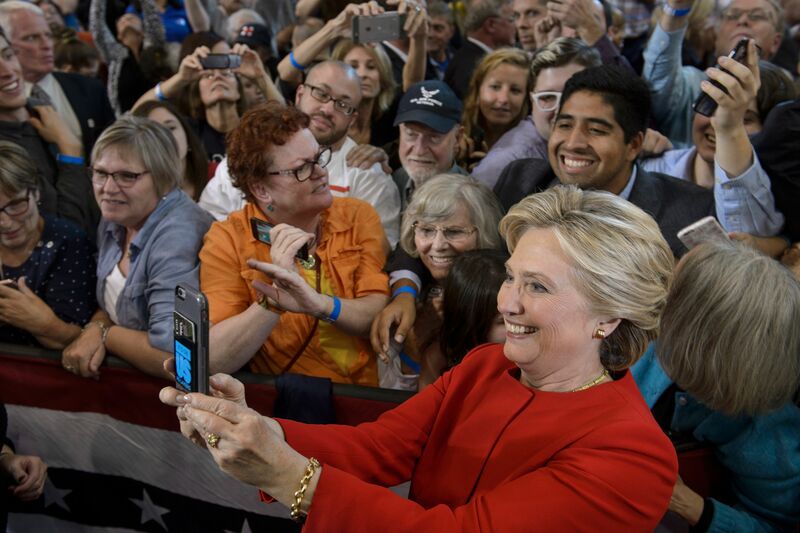 Just don't snap a selfie inside the polling place. A few states have vaguely worded laws that essentially make it illegal to tell other voters how you're planning to vote before you cast your ballot. While these laws were likely designed to prevent voter intimidation at the ballot box or to stifle those who would try to "buy" votes and demand proof of how a citizen voted, they could be interpreted to prohibit ballot selfies, too. Even though the attorneys general of some of these states have announced there's no history of prosecuting people who take ballot selfies, your safest bet is still to keep your vote to yourself in these states. According to the AP, Arkansas is the only state in the union that has no laws on the books regulating ballot selfies. That means sharing how you voted might not be expressly legal, but it's also not going to result in being fined or jailed. But no matter what state you live in, the most important thing to remember is to vote. After all, the selfies can wait. And if you absolutely have to let the world know you voted, take a cute picture with your "I Voted" sticker after leaving the polls.